Six Sigma is a quality improvement methodology that organizations in many different fields utilize to improve their organization’s processes and performance. A systematic way for keeping track of Six Sigma projects is essential to being able to effectively use Six Sigma to improve the processes and performance of the organization. It is also important that this system is standardized throughout the organization and that all employees who will be using it are trained on how to correctly use it. A good system will include a way to decide if the problem identified is enough a problem to be addressed in a Six Sigma project, before proceeding to conducting a Six Sigma project. In addition there should be a way to track both the impact of the problem and solution on the customer (voice of the customer) as well as on the business (voice of the business). It is important to document attributes of the data that is to be collected, such as if it is ordinal scale or nominal scale, to make it easier to keep track of which types of statistical analysis are appropriate to apply to the data. 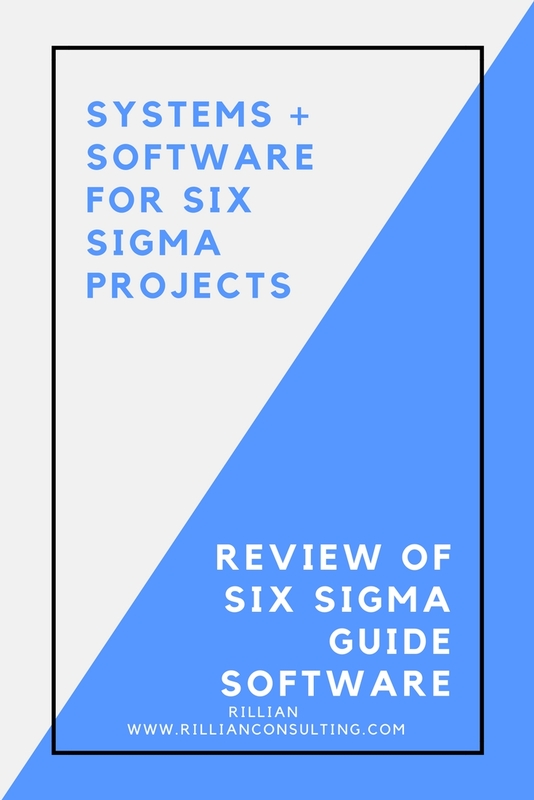 One way to have a good system for Six Sigma projects could be to use a software program specifically designed for this, such as SixSigma Guide. 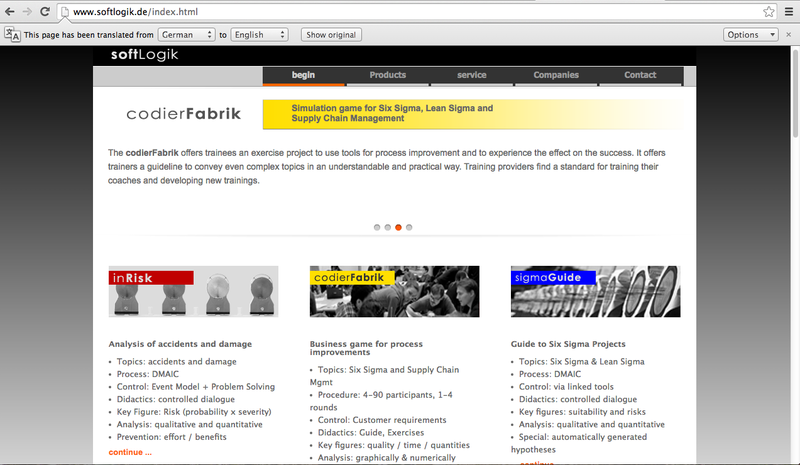 SixSigma Guide is a software guide designed specifically for Six Sigma Projects. The homepage for SoftLogic, with SixSigma guide on the far right and two other software programs on the left and middle. and an adjunct professor at Hochschule für angewandte Wissenschaften München and Management Center Innsbruck in Eresing, Germany. This software is a useful and practical tool, although it may not be the right fit for every organization. It was clearly developed by a Master Black Belt in Six Sigma who used his many years of practical experience in conducting Six Sigma projects as well as in educating future Six Sigma quality improvement professionals. This software is relatively easy to learn how to use for people who are familiar with other software like Microsoft Excel. One of the best things about it is that it walks the user, step by step through the whole Six Sigma DMAIC (Define, Measure, Analyze, Improve, Control) cycle. Instead of having all these steps and sub-steps saved in different spreadsheets in folders on a shared drive, with this software, everything can be kept track of in one place. While it is functional and relatively user friendly, I feel that in order to be more marketable the design of the user interface might need to be enhanced. While it is perfectly functional, people have become used to seeing beautifully designed software programs. Large organizations may also wish to be able to customize it with their logos and branding when implementing it across the organization. 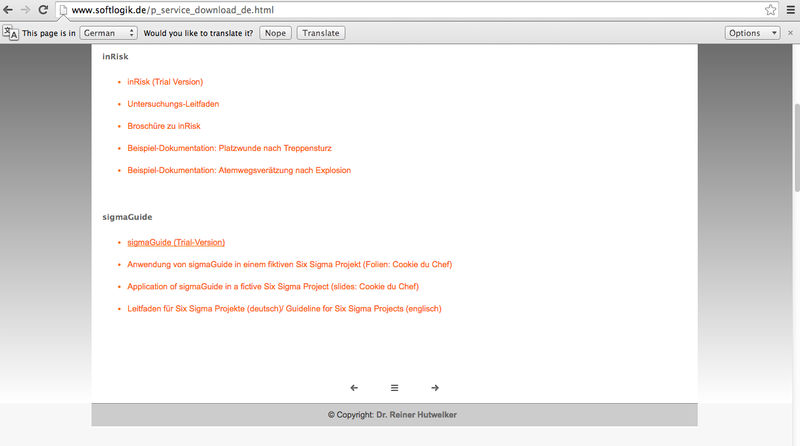 A screenshot of the download page to download the SixSigma Guide software. The option to download the free trial is listed first. Both English and German slides with examples of using the software for a Six Sigma project are linked below the download link. Another way could be to use a combination of different types of software the organization is currently using, such as Microsoft Excel or Google Docs, combined with a file sharing system, such as a server or cloud based storage solution, such as DropBox, so that all stakeholders who need access to the projects can easily access it. Whichever systems and software you choose to use, it is essential that it there is a systematic and standardized way of conducting and keeping track of Six Sigma projects across your organization. I’d love to hear your thoughts! Have you used SixSigma Guide software or a similar software for Six Sigma projects? What do you think about it? Disclaimer: This is an independent review of software, I am not sponsored in anyway by any of the software companies or individuals listed or reviewed in this article. None of the links are affiliate links. I am just sharing my thoughts about software that could be useful for Six Sigma projects. I learned of this software while taking an online course on Six Sigma, from the Technical University of Munich (TUM) in Germany and edX.org, in which Dr. Hutwelker was a guest lecturer. Jillian Regan, MPH is a consultant at Rillian. She enjoys quality improvement using data to improve processes within the organization, so that the organization can better serve its clients, customers, patients, or others. Connect with her by email at Jillian.Regan@RillianConsulting.com or Twitter (@JillianReganMPH) or LinkedIn.